To repair or replace your home’s windows – that is the question. If you’re having a hard time deciding whether to repair or replace your windows, remember this saying: “out with the old, in with the new.” Now, getting rid of everything that’s old in your home isn’t always the best choice, however, when it comes to windows and how much time and money you spend on maintaining them, it’s very fitting. • Are your home’s windows drafty? • Is condensation constantly blocking your view outside? • Are your energy bills higher than they should be? • Do you need help cutting down on your energy bills? • Are you constantly fixing windows that don’t open and close properly? If you answered, “yes” to any of these questions – or all of them – we have a solution for you: window replacement. By replacing your home’s windows, you won’t have to worry about answering “yes” to these questions for a very long time. Older windows are bound to cause you problems at some point or another. Whether they don’t open as easily as they should or your windows are single-pane or poorly sealed, these types of problems are inevitable. By replacing your windows, however, you have free reign to choose the type of windows you want, including sliding, double-hung, bay or bow, awning, casement or any other style. There are so many different styles to choose from; the sky’s the limit! Replacing the windows in your home can also help save on your energy bill expenses, increase the value of your home, and enhance your family’s comfort indoors. It’s a win for everyone! Now is the time to consider making window replacement decisions, as well. Spring and summer are the best times of the year to replace your home’s windows while the temperatures are more mild, meaning that removing and replacing windows is a simpler prospect. Plus, adding new windows at this time of year can help you save on your cooling costs this summer, not to mention heating expenses in the future. On the other hand, if your home’s windows are brand new or a few years old and cause you very little trouble, repairing is the route to go. Making minor repairs here and there can either be done on your own or by a professional for a very low cost. 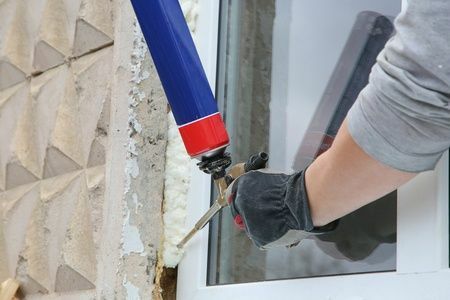 Whether you’re repairing or removing broken glass, fixing windows that get stuck during the warmer months, or sealing space around a loose or drafty window that may have settled since installation, you can save yourself a considerable amount of money by making repairs to otherwise perfectly sound windows. So what will you choose to do with your home’s windows? If you need a little extra help with the decision-making process, it doesn’t hurt to get an extra opinion. A specialist from Weather Tite Windows & Siding can come to your home and meet with you to review your existing windows and help you compare different options and the various windows styles available for your unique situation. To learn more or to request an on-site consultation, call us today at 570-424-8891.